Premier League leader Liverpool looks to remain in first place on Sunday when it takes on third-place Chelsea at Anfield (Live updates). The Reds are 25-7-1 and enter the day in first, with second-place Manchester City playing the early game, while Chelsea jumped to third on Monday with the win over West Ham. The Blues are 20-6-7 with 66 points and a three-game winning streak. Liverpool: Winning is the only option really from here on out. Dropping points could prove fatal in the race for the title. Having played a game more than Manchester City entering the weekend, there is more pressure on the Reds. Anything short of a win won’t be acceptable. Chelsea: The Blues have turned things around by securing nine points out of nine to jump into third place last week. It’s now all about finishing inside the top four, but going to Anfield isn’t easy. The focus will be to get the ball to Eden Hazard’s feet and let him go, and they’ll gladly take a draw in this tricky match. The Reds contain Hazard for most of the match, Mohamed Salah scores again and the three points go to Liverpool. 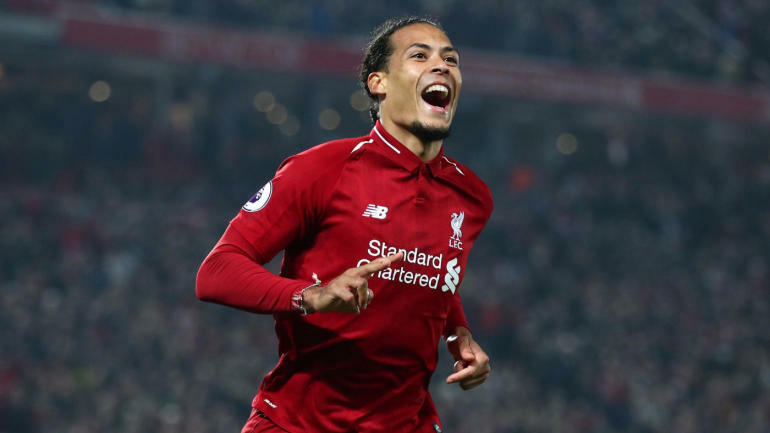 Expert David Sumpter’s Premier League picks are available each week on SportsLine.com, and his model has returned a 2,000 percent profit on the bookmakers’ closing odds. Who did he pick in this week’s games? Click here for more.